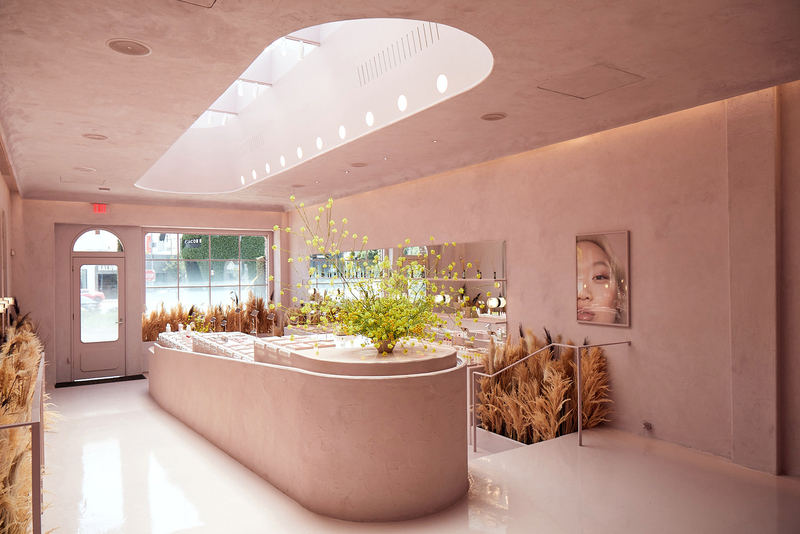 Beauty buffs living in Los Angeles, rejoice, as cult brand Glossier has just opened a permanent store in Melrose Place, West Hollywood, in the heart of where everything happens. 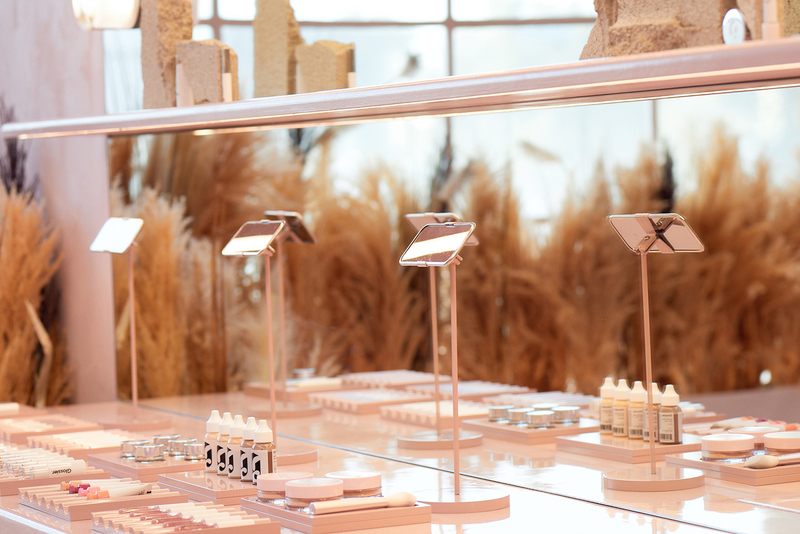 Inspired by the California desert and the feeling of driving off into the sunset, Emily Weiss, the brand's founder, created an immersive space that sums up Glossier's minimal yet quirky style. As most of you know, Glossier is the byproduct of Weiss's beauty blog turned platform mogul, Into the Gloss, but it took almost no time at all for it to become the beauty sensation we were all waiting (don't forget about Portugal, dear Emily). 'Skin first, makeup second' was the shockingly simple message that has carried Glossier up to this day, advocating for the fresh face and the 'no makeup makeup' approach, something that most big beauty brands and retailers don't do. Since its inception in 2014, Glossier has been gathering attention and growing immensely whilst carefully choosing where to be and where to sell. This new outpost in Los Angeles comes to show that Weiss and her team know exactly what they need in order to take the brand to a whole other level, if only for the millennial pink façade and interiors that are perfect for those instagram snapshots. 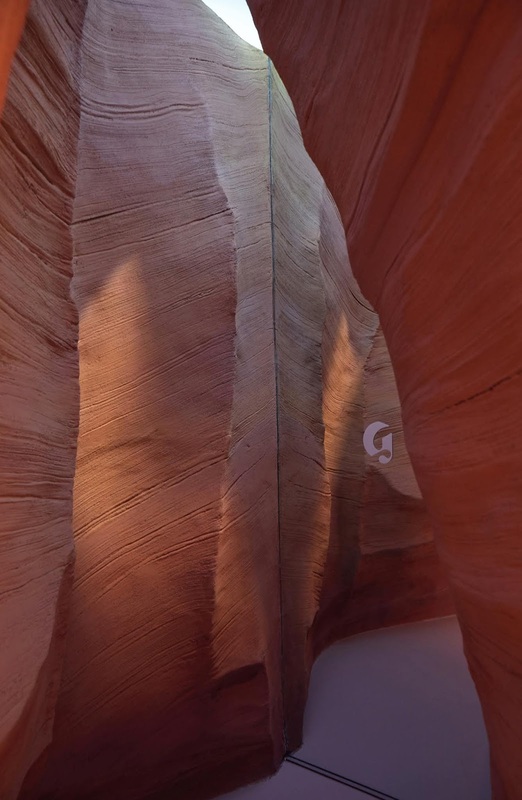 The 1500-square-foot space features a 'Glossier Canyon' with blush rock formations, and also some — if not all — of the brand's most popular products, including the Boy Brow, the Haloscope, the Generation G, the Stretch Concealer, the Balm Dotcom, and the new Lash Slick, amongst many, many other favourites and bestsellers. So, if you're cruising around West Hollywood and don't know what to do next, make sure you check in at Glossier and take full advantage of the one-of-a-kind shopping experience that you can't find anywhere else in the world, according to Weiss herself. Just let yourself go and soak all the lovely pink walls and countertops up.